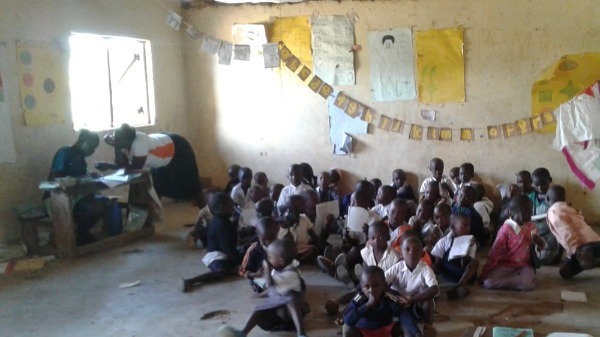 Imagine 200 preschoolers in one classroom…with two teachers and no desks. 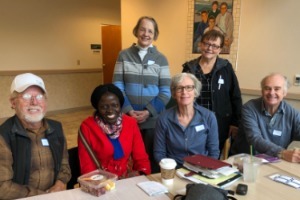 What's in our February 2019 issue: Notes from the Field; Education Committee Report; P4P's "Wonderful Ladies"; Parents Are the Same, the World Over; A Valentine Story from Africa; and Are YOU a Thrivent Member? 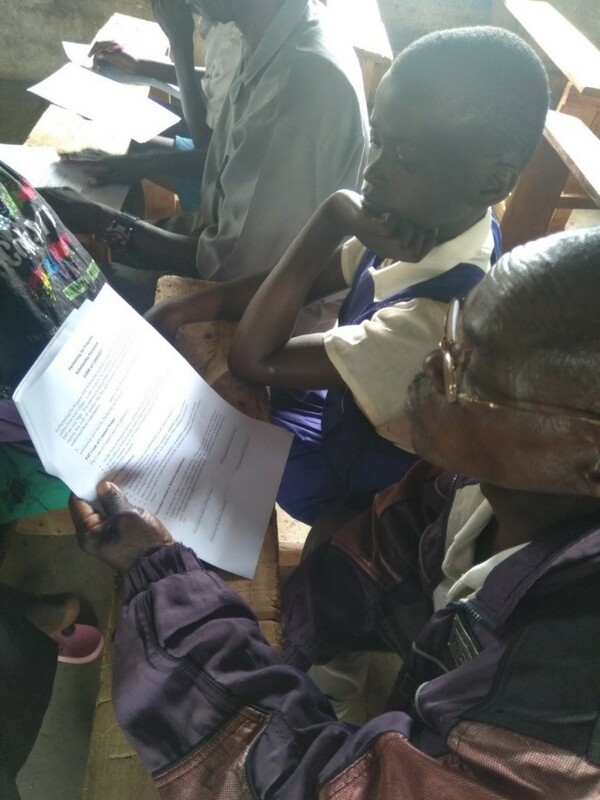 In 2018, the Kenya Institute of Curriculum Development adopted a competency-based curriculum that emphasizes what students are expected to do rather than mainly focusing on what they are expected to know. Its vision is to develop engaged, empowered, ethical citizens. This would be accomplished by equipping teachers with the resources they need to teach well in school environments that are adequately equipped and staffed. For the first time ever, the institute recognized the need for a regulated preschool curriculum. 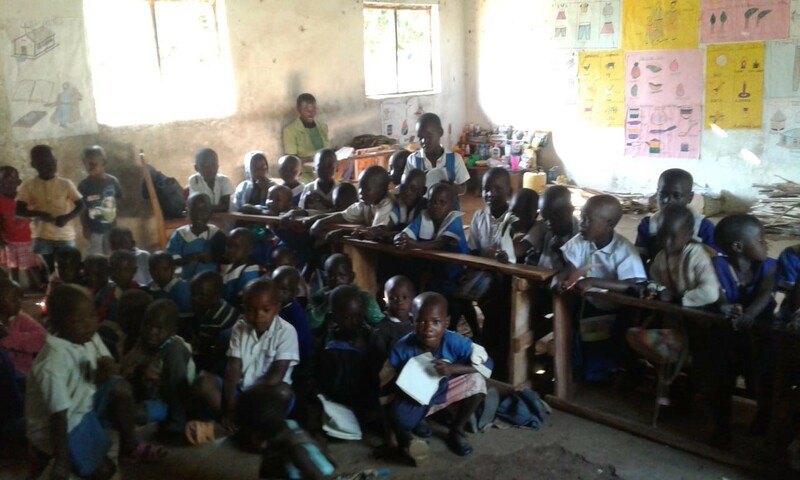 Kopanga/Giribe sublocations are included in the adoption of the new curriculum. However, even though teachers are doing their very best to get good results, it has not been easy for the learners or the teachers in these schools. 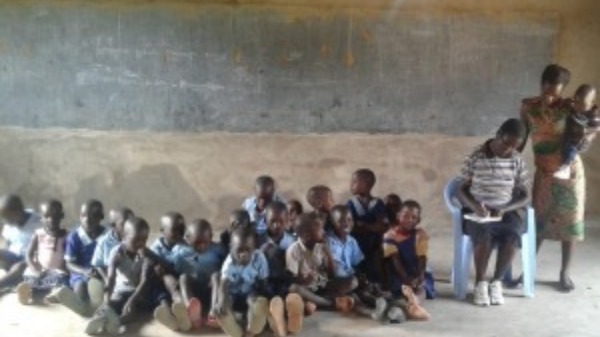 For instance, Mubachi Early Years Education (EYE) Centre has a total of 173 students and 2 teachers in preschool, a number that is too large to control and ensure learner-centered education. 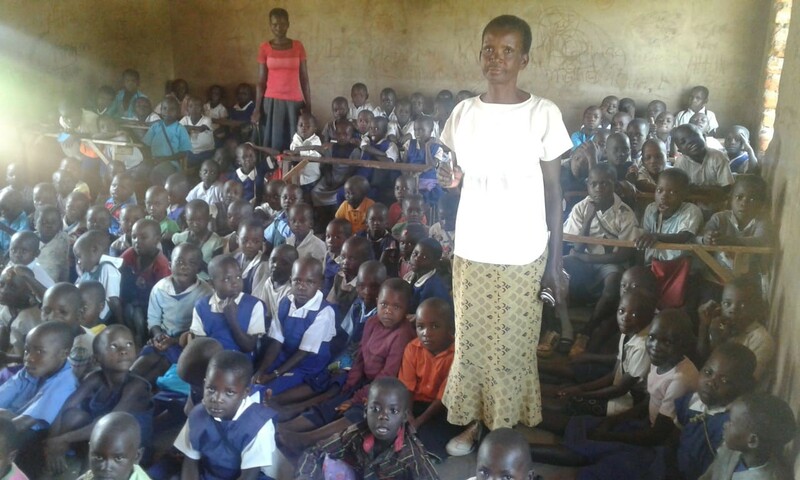 This school has only one pit latrine for the 173 students, inadequate furniture, no fixed outdoor play materials and few learning materials. This situation is repeated in all the other five centers. 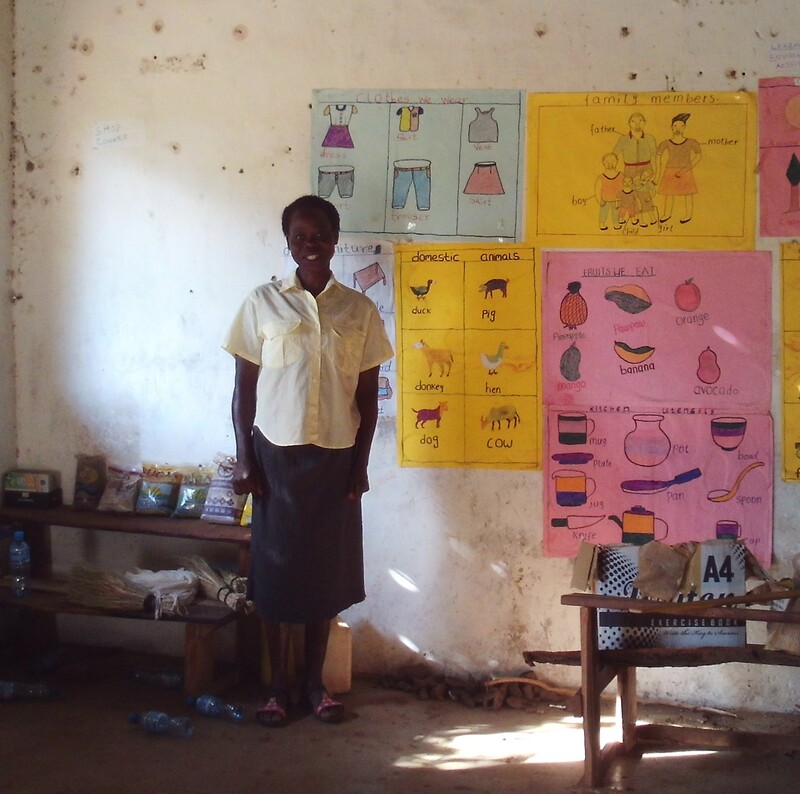 From the photos, you can see the charts and learning materials that the schools have. The situation is further complicated by the fact that these centers are attached to a primary school and the early learners do not get their own space to play. With high poverty in the area, most children come to school without breakfast. Noon meals are not provided, and these very young students are expected to stay in school to midday without eating anything. This further reduces their concentration span. Some of them sneak out of school to go home for food. P4P has provided preschool teacher training, which has been helpful, but there are still many challenges. The government and other stakeholders need to solve these challenges for early learners and their teachers in order for them to become engaged and empowered and grow into productive, ethical citizens. 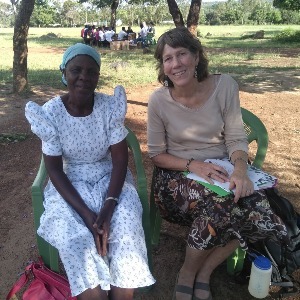 I went to Kenya in November as a preschool teacher consultant. In five days, I trained 12 preschool teachers and learned firsthand that quality preschool is quite challenging in the region. The government set forth a goal of providing free, quality pre-school for children ages three through six, but they opened their doors to this age group with limited resources. 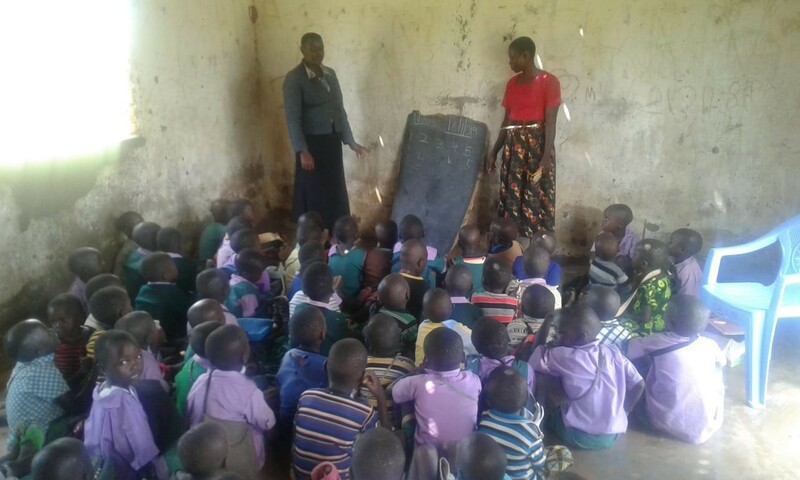 One classroom is set aside, and one to two teachers are hired to teach and manage a class of anywhere from 75 to 200 children. Imagine putting 200 children in one room - without desks, without resources, and in some cases only dirt floors for the children to sit on. Then throw into the mix a required curriculum of seven subjects plus evaluation responsibilities to assure each of the children in the classroom is ready for Standard 1 (equivalent to our first grade). Throughout my training, we kept a running list of the things that the teachers felt would be beneficial to themselves or the students. The necessities they listed included desks, chalk and erasers. The less than obvious needs they listed included a food program, handwashing stations and first aid. 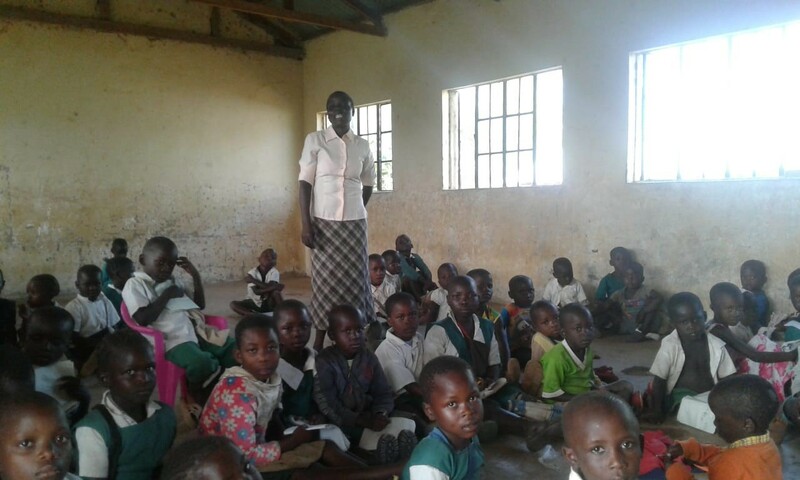 In spite of these challenges, the teachers were optimistic, the training was well received and appeared successful. Apparently Cam Flynn made a very positive impression in Kenya when she was there last November conducting preschool training. Utolo Walter, a teacher in the Kopanga region, met with Cam and wrote this warm Facebook post after the group left. He also mentioned another member of the P4P November team, Sandy Ivers, as well as long-time volunteer and team member, Helen Biggs. 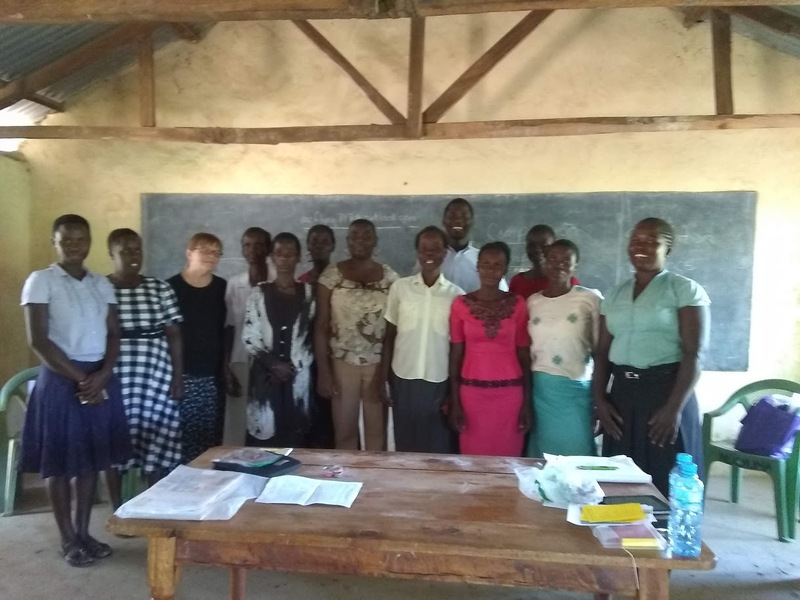 "Allow me to take this opportunity to thank P4P and partners for conducting a very successful training for teachers in Kopanga and neighboring sub locations. P4P, you have made history in the lives of our children. The offer to train our teachers may look small but shall remain in us as giant and bold contributions to the education of our children. I hope that message reaches all of the partners of P4P as a sincere appreciation from schools and the entire body of Kenya primary schools teachers association. Special regards goes to lady Cam for excellent facilitation and training, your English was very free from the heavy American accent. Sandy, you were a true mother, God bless you for taking time to listen to us. Also, we still remember Helen Biggs. Indeed P4P has wonderful ladies. Thank you for your visit." Whether in Spokane, Helsinki or Kenya, every parent echoes Journalist Sydney Harris' thoughts: "Two big questions present themselves to every parent in one form or another: What kind of human being do I want my child to become? How can I go about making that happen?" 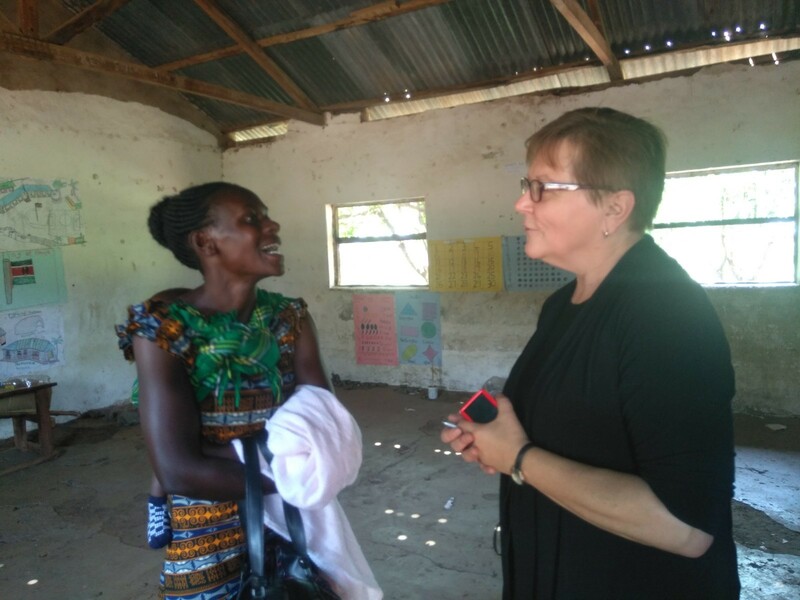 The P4P team that visited Kopanga in November met with a small group of the moms and dads who are parents of our scholarship recipients. Propelling these villagers are their children's dreams: to be an engineer, a primary school teacher, a law enforcement officer or a special-needs teacher. 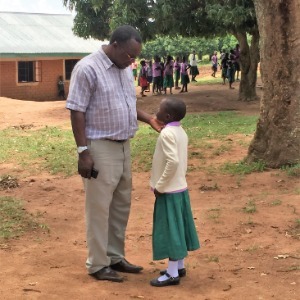 We are accustomed to hearing again and again from both the students and their parents how grateful they are for P4P's scholarship support, but in this encounter, we learned a few other things, too. One is that our scholarship recipients typically come from large families, the average number of siblings was seven. Many of these siblings have dropped out of school, for a variety of reasons. 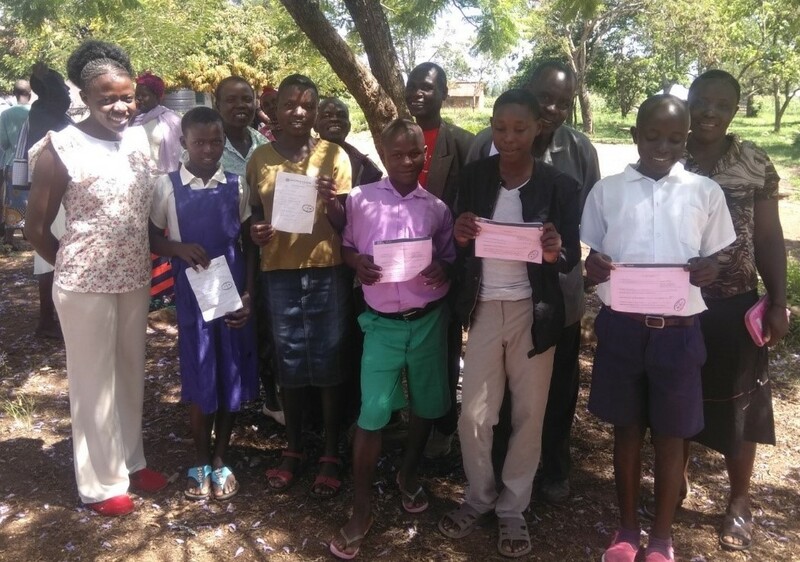 But for these parents, P4P's help in keeping even one son or daughter in school is a lifeline for the family to the prospect of a brighter future. And we learned of individual student challenges that the students themselves are reluctant to share. They struggle with making friends, dealing with health issues or physical handicaps and keeping up with their academic work. As these parents support their children's aspirations, they constantly reiterate Sydney Harris' questions. They want their children to be honest and hardworking, support their family and community and attain their full potential. In addition, as they address Harris' second question, "How can I go about making that happen?" they repeat how grateful they are that P4P is part of the solution. 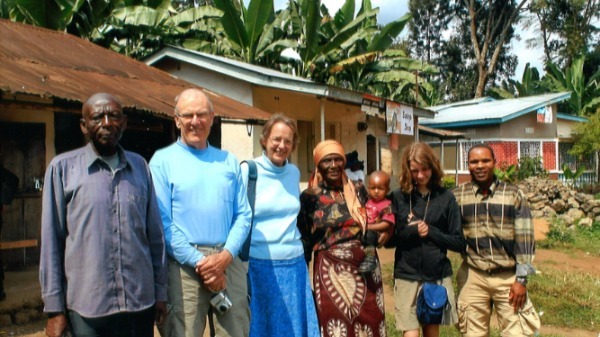 Ruth Balsdon is rich in life experience—with Africa at the heart of much of it. In 1959, Ruth traveled to Tanganyika with a group of students from Minnesota to help a Tanzania coffee co-op build a coffee processing plant. In 1964, Tanganyika united with Zanzibar to form the United Republic of Tanzania. She fell in love with the people and with the continent and knew she had to return. A degree in education became her goal, knowing it would give her the avenue to return to a place she loves and share her knowledge with the people of Africa. "I have always admired their lifestyle," Ruth says. "Being so close to their family members and the way in which the woman help each other. They try to become educated so that they can help their daughters become educated and hopefully limit the size of their families." After attaining her teaching degree and working in San Francisco, Ruth was able to return to the country that holds a special place in her heart. A new love came into her life when she met Ed, a fellow American teacher. They eventually married and had two children. 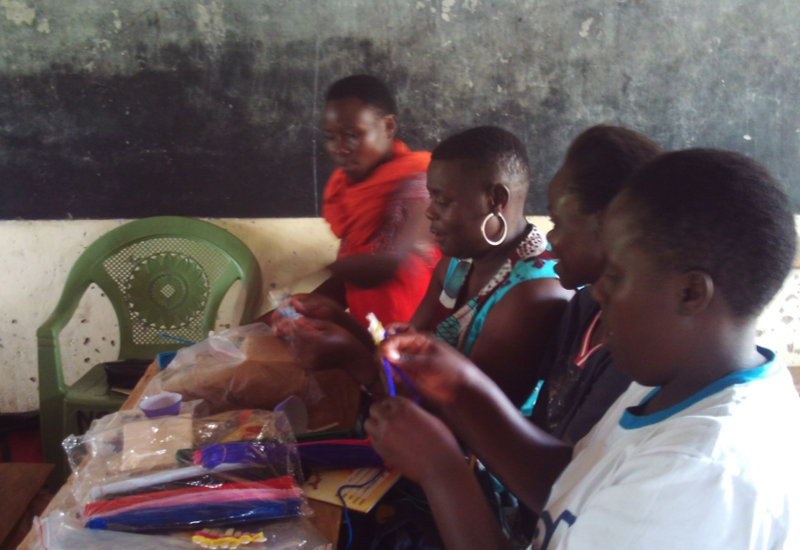 As a member of P4P's Education Committee, Ruth is involved in the Days for Girls Kits sanitary kit project. She supports fundraising efforts to keep children in school via scholarships, and she takes committee minutes when needed. "I feel that P4P does a good job of setting up village councils and doing what the people feel is most important," said Ruth. Ruth and Ed are now retired and teach English to non-English speaking students. They have returned to Africa with their two grown children and grandchildren. If you are a Thrivent member, you have the opportunity to direct the Thrivent Choice Dollars you have earned toward P4P. 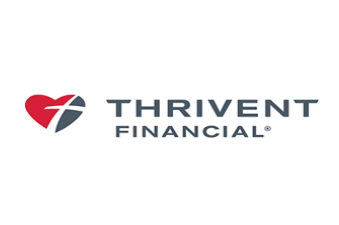 The Thrivent Choice® program allows members to recommend what charitable organization will receive funds they have earned. This is a painless and easy way to contribute to P4P's fiscal health without actually writing a check. But there is a deadline. To access this free (and generous) benefit, go to www.thrivent.com/thriventchoice before March 31. Follow the prompts and you can direct the Choice Dollars you earned during 2018 to Partnering for Progress. If you have any problems, contact P4P Executive Director Dia Maurer (diamaurer@gmail.com) and she can assist. Please help support P4P's programs by directing your Choice Dollars to P4P. Your contribution is greatly appreciated. 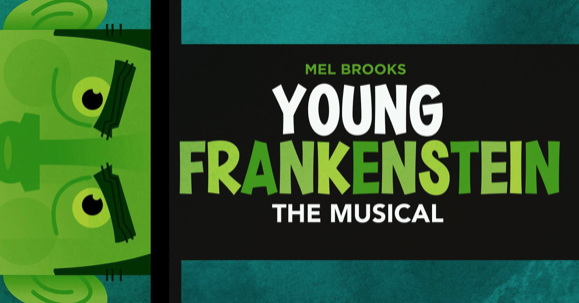 Please save the date and join us for P4P's benefit performance of the Mel Brooks musical Young Frankenstein on the Spokane Civic Theatre's main stage. Grandson of the infamous Victor Frankenstein, Frederick Frankenstein (pronounced "Fronk-en-steen") inherits his family's estate in Transylvania. With the help of a hunchbacked sidekick, Igor, and a leggy lab assistant, Inga, Frederick finds himself in the mad scientist shoes of his ancestors. "It's alive!" he exclaims as he brings to life a creature to rival his grandfather's. Eventually, of course, the monster escapes and hilarity continuously abounds. Rating: PG-13.